Producer David Luff has taken over the artistic leadership of London’s Soho Theatre following the departure of Steve Marmion, as the London theatre announces a restructure of its team. Soho Theatre has also appointed Heather Rabbatts as its new chair, replacing Nicholas Allott. Luff, previously theatre producer for the venue, will now act as creative director, initially on a 12-month interim basis. Lakesha Arie-Angelo has also been appointed to the new role of associate artist, having been the theatre’s resident director for the past two years. 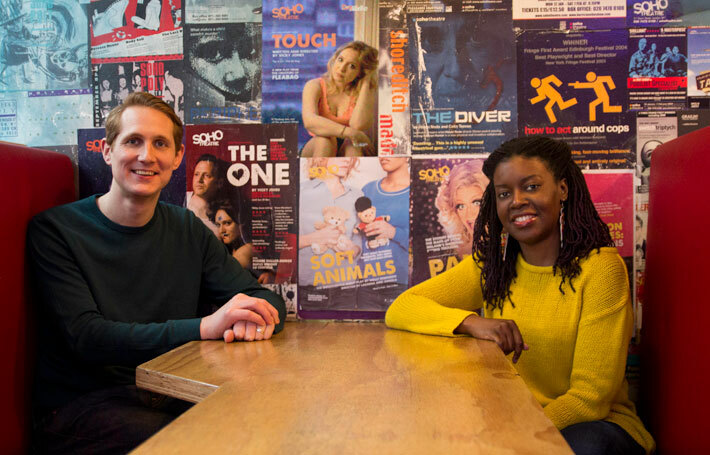 The new appointments mark a restructure for Soho Theatre’s team, with the role of artistic director being replaced with that of creative director. According to the theatre, the revamp is intended to reflect its cross-genre programming style, which includes comedy and cabaret as well as theatre, and also encompasses its new-writing programme. As creative director, Luff will have responsibility for the venue’s creative output and artistic leadership, working alongside executive director Mark Godfrey. Comedy producer Steve Lock will become head of comedy. Rabbatts, currently managing director of TV and film production company Cove Pictures, takes over as chair. Marmion recently left the theatre, after eight years as artistic director, to pursue freelance projects.